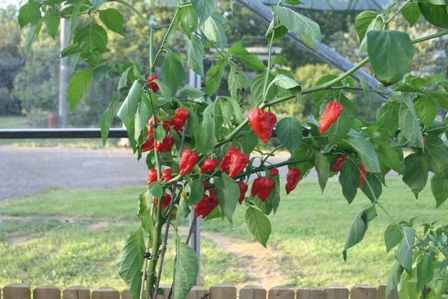 “See chilli plants growing and taste some of the hottest chillies ever! These are usually for export. However, if you can cope it, don´t miss it! There is a little Chilli shop and a hot chilli restaurant as well. The hot-chilli walk will start from the Wyboston Chilli Farm Edible Ornamentals to the Begwary Brook Nature Reserve where many different birds can be seen. From there we walk over to Wyboston Leisure Park to the lakes with their many fish. Maybe we will see some fishers! The walk continues through Eaton along the church and over some locks to Pocket Park. Finally we will pass by Eynesbury, to Eaton Socon and then return to the Chilli Nursery. Start is at 11:00 am from the NatWest Bank. We intend to return at approx 16:30. Walk will be 12 or 17km depending on time. Bring enough water and something to eat and don´t forget good shoes. It can be muddy. Waterproofs may be needed depending on weather.